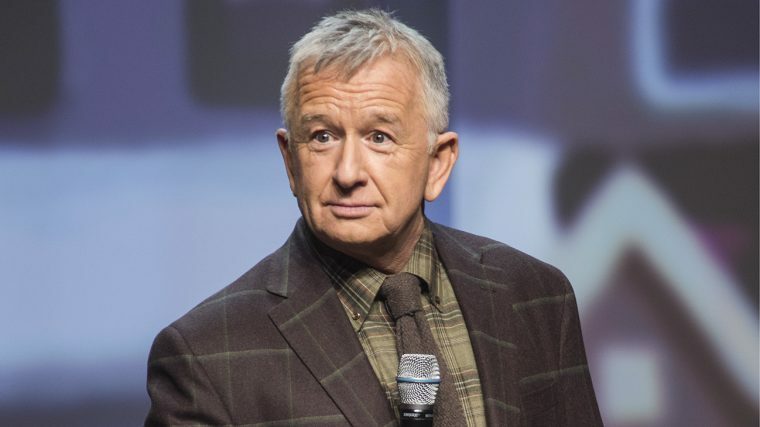 Hailed by critics from coast to coast, Ron James is Canada’s #1 comedian, consistently packing theatres across the country for almost 20 years with his marathon side-splitting stand-up comedy performances. Ron has been called “a man of a million words and million laughs”, by The Globe and Mail; “explosively funny”, by The Chronicle Herald; and “the funniest man in Canada” by The Victoria Times Colonist, among countless other accolades. His first book, All Over the Map, will be published by Random House in 2019. Ron James has been hilariously entertaining organizations throughout North America for more than two decades. Presenting his clean, customized, and uniquely Canadian content, Ron’s stand-up is guaranteed to have audiences laughing until their sides hurt. A master comedian at the top of his game. In particular, we were delighted with his style and were highly impressed with his ability to customize his material… Ron’s skill enabled him to locate the common denominator we all share and tweak our collective funnybone. I was particularly impressed with your professionalism, your ability to read the audience, and your keen sense of timing.